Race to become the Spanish Champions is on after a nail biting finish to one of the most awaited games of the season. The defending champions, Barcelona, stunned the league leaders Real Madrid in a thrilling encounter at Estadio Santiago Bernabeu. The feisty El Clasico had plenty to offer, but it was the little magician from Argentina that cast a spell to seal the game in favour of Blaugrana. Scoring twice, with one goal in the dying moments of the clash, Lionel Messi stole the show, leaving the Madrid side exposed and Cristiano Ronaldo furious. The irate Real Madrid star evidently gesticulated his emotions after the final whistle both on and off the pitch. 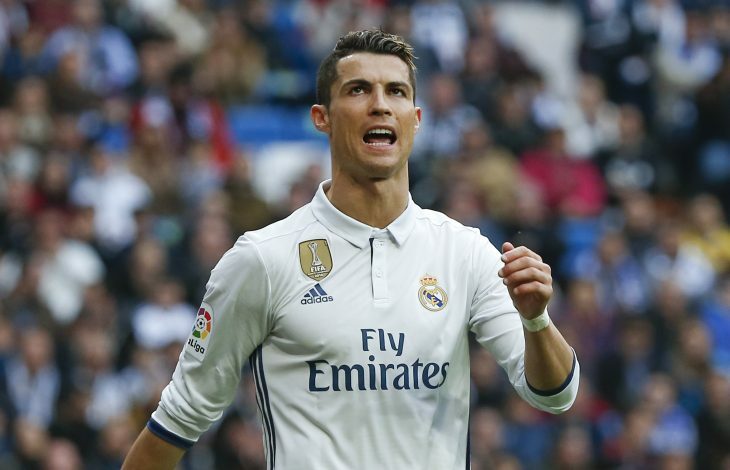 According to Marca, after the TV cameras had captured the Read Madrid winger’s anguish on the pitch, he soon took it behind closed doors and ranted in the dressing room. The primary subject to Ronaldo’s on-pitch rage was the fact that none of his teammates had fouled the Argentine during the build up of the goal. The failure of his teammates, namely Luka Modric and Marcelo, to stop Sergi Roberto’s 50-yard run that began the counter-attack to seal the game anguished the Portuguese international. Ronaldo had urged his side to put maximum pressure to win the ball from a Barcelona throw-in, but Barça broke out to bag the winner, clinching all three points and catapulting themselves to top of the table on goal difference. After the match, Marcelo confronted the media to take the blame for the final goal that proved to be the difference between the two Spanish giants. “I take the blame for the last goal but it can happen to anyone,” he stated. The Catalan side is currently on top with 75 points from 33 games, surpassing their archrivals Real on a massive goal difference. Los Blancos also have 75 points, but also a game in hand. Tweet to get in touch with Sidharth Jindal.